The snow is one its way out now as the cold snap is being pushed out by slightly warmer weather. 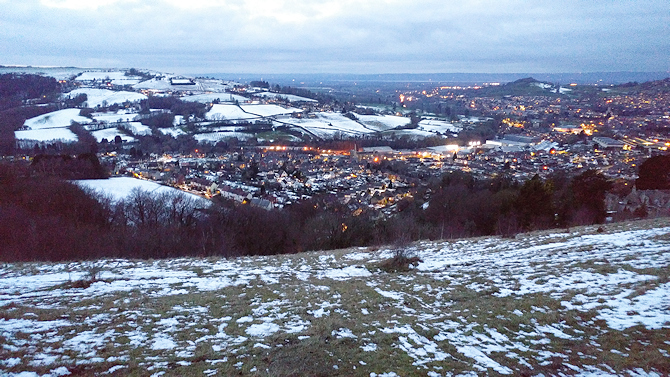 However it’s still on the hills so I grabbed an evening phone shot from Rodborough Fort looking out towards Stonehouse with the snow on Selsley common on the other side of the valley to the left. And a not very exciting video of the same view cause it’s the media age and it’s all about video, right?